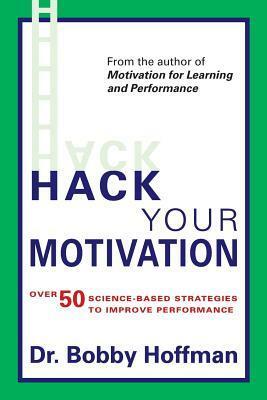 Instead of a dry, jargon-laced academic textbook, or a collection of personal opinions from self-proclaimed "experts," Hack Your Motivation features satirical real-life stories that reveal over 50 easy-to-use, evidence-based strategies to help you reach your goals and find more success. ​ Get Your Copy Today! FREE! Subscribe and get a totally FREE copy ($9.95 value) of Dr. Hoffman's book "Motivational Murder: The Seven Worst Mistakes Leaders Make!" Dr. Bobby Hoffman is the author of Motivation for Learning and Performance, a 2015 #1 ranked seller on Amazon.com in the field of Cognitive Psychology. He is an Associate Professor at the University of Central Florida, and earned his Ph.D. in Educational Psychology from the University of Nevada, Las Vegas. He is a regular contributor to Psychology Today and the 2017 conference co-chair of Motivation and Cognition for Division C of the American Educational Research Association (AERA), the world's most preeminent organization for motivation science. Previously he co-chaired the program in Educational Psychology for Division 15 of the American Psychological Association (APA). He serves on the editorial boards of various journals including Contemporary Educational Psychology, Educational Psychology Review, and Educational Technology, Research and Development.